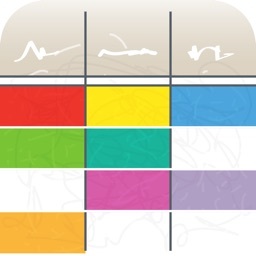 Assignments for iPhone by Pinwheel Development, Inc. 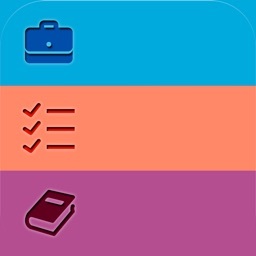 Assignments is your go-to scheduling app that utilizes the best iOS features to keep your schedule maintained, courses up to date, projects and assignments tracked and nearby tasks close-at-hand. 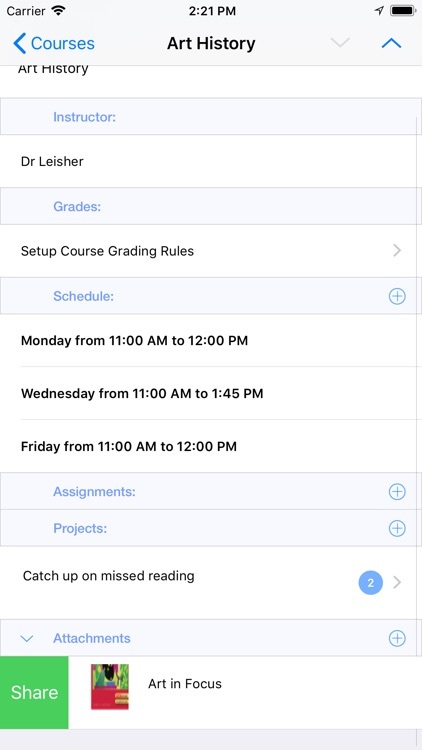 New features include a calendar feature to better monitor each day's courses and due assignments, the ability to save and track Grades for both assignments and courses, the ability to import attachments and download coursework to the app from the web, and new features to call and email imported contacts and instructors. 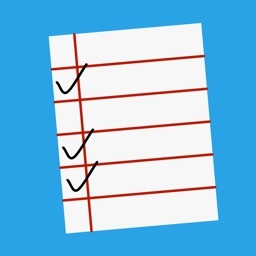 Assignments isn’t just another productivity app where you check tasks off a list. 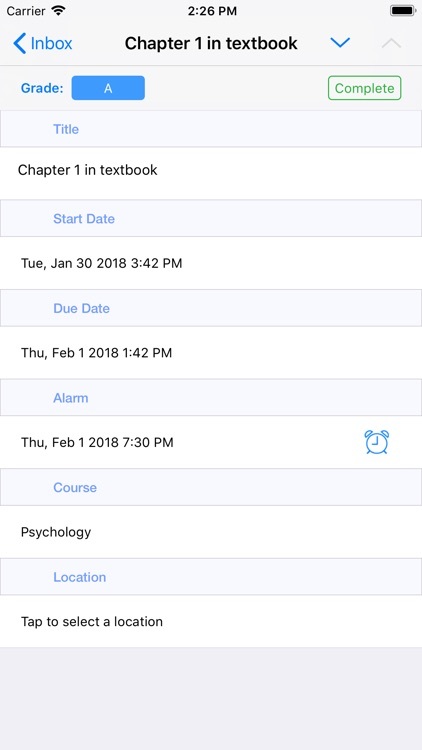 Assignments contains a number of features that allow you to schedule homework tasks and even track long-form assignments that are deadline driven. Because some assignments span weeks or even months, you can schedule multiple projects within a single assignment to keep yourself on track. 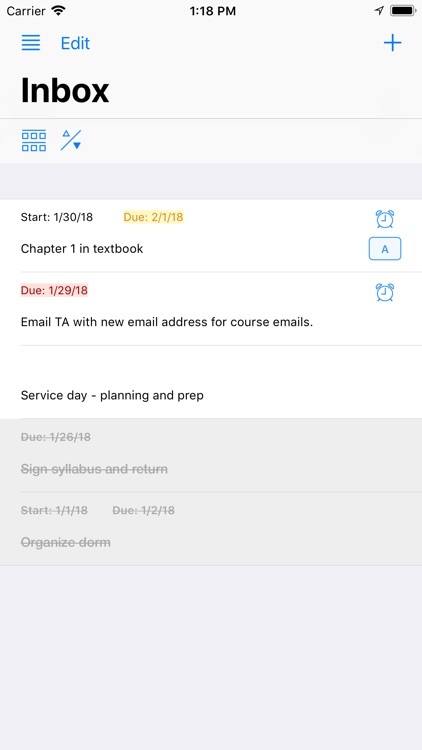 Calendar allows you to see the day's upcoming courses and assignments and to create new assignments more quickly by adding them directly to the day they are to begin. Course schedules can be set in the Courses section. There you’ll find flexibility to enter your class schedule that meet on a repeating basis or classes that have irregular meeting times. Don’t let funky class schedules add to mounting stress. Keep documents and coursework right inside the app with the ability to import and export from iCloud, other iOS apps, and the internet. The Places section of the app will allow you to enter specific places where classes meet. 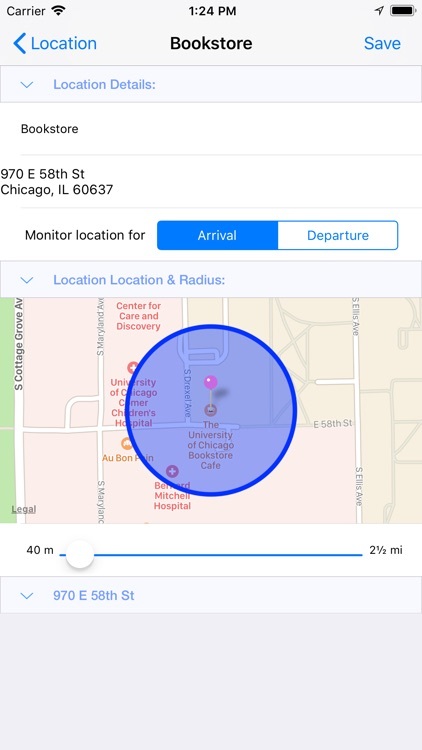 Assignments uses Apple’s geofencing technology so that when you arrive at the destination, an alert will tell you if you’ve got something due. Scheduling via a due date alarm is also available, but you can’t be too careful, right? 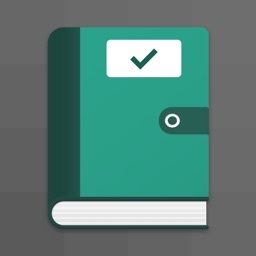 Contacts, like instructors or classmates, can be imported from the address book or added manually. 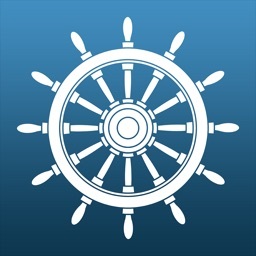 For a group project attach friends for fast access to contact details within the app. 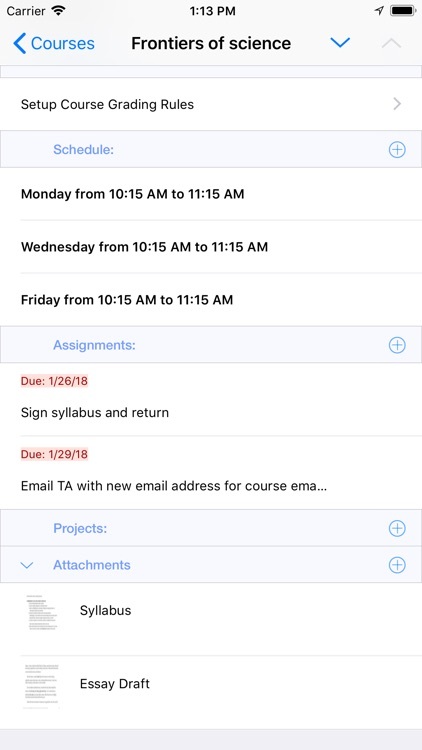 Now with Assignments 1.1 you can email and call contacts from within the app! 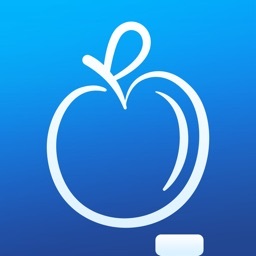 SMS and iMessage features will be added in our next update. Archiving ensures no old work or course is ever far from your fingertips. You can keep up with that important information on the app’s Archive Section. That way if you need to reference an old paper, it’s right there for you. Assignments will make your daily planner obsolete. 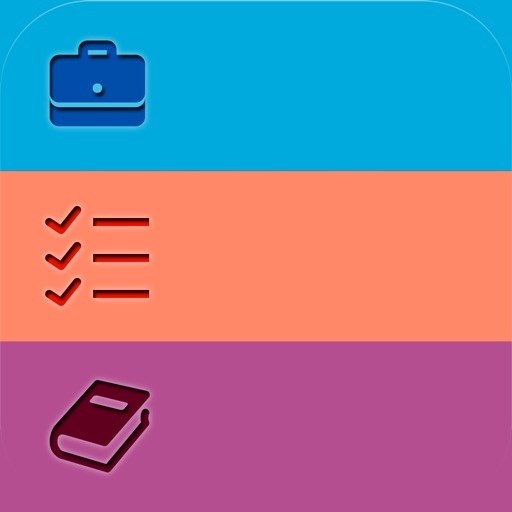 The various productivity tools contained in this app will make school planning and coursework a breeze.